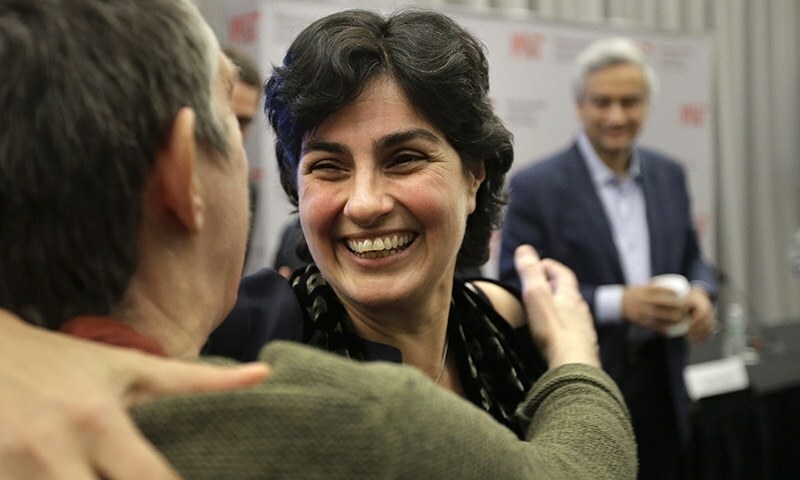 A key force behind the landmark discovery of gravitational waves that happened in 2015, Lahore-born Nergis Mavalvala, Associate Department Head of Physics at MIT, was awarded the first Lahore Technology Award at the convocation of Information Technology University. Nergis Mavalvala was invited to the first ever convocation of Information Technology University where the Vice Chancellor, Dr. Umar Saif, awarded Nergis with the first Lahore Technology Award. “Lahore Technology Award first recipient sets the bar extremely high and signaled what we believe is a befitting example to emulate for Pakistani scientists,” he added. Born in Lahore and later moved to Karachi, Nergis received her early education from Convent of Jesus and Mary School. She moved to United States in teenage years to attend Wellesley College in Massachusetts. Nergis believes that she is a product of good mentoring. In Pakistan and abroad, she met several people along the journey who mentored her, appreciated her and guided her to the right path. From an early age, she was very hands on and had interest in physics. Nergis played a key role in the discovery of gravitational waves coming from two black holes which orbited one another, moved inward and smashed together. The waves are considered to be the product of the collision between two black holes 30 times bigger than the Sun.